Why use a Buyers Choice mortgage broker? Your Buyers Choice mortgage broker knows lending inside and out. We work with you to achieve the best finance package to meet your immediate needs and long term objectives. Our brokers can come to you at a time and place that suits you, we make it easy from day one. From your first home, all the way to retirement, mortgage advice is a lifelong process that will require review with your changing circumstances. This is why our mortgage brokers focus on building a long term relationship with you. We represent a broad panel of lenders (see below) including all major Banks, and many second tier Bank and Non Bank mortgage lenders. We provide borrowers with Choice, Service & Advice to assist our customers to compare and customise their finance to meet both immediate and long term financial and lifestyle objectives. Our service is provided by highly experienced finance professionals, who visit clients at home or work 7 days or nights per week. Our Finance Consultants all hold recognised Industry qualifications and are Authorised Credit Representatives registered with ASIC. Our services are available in all capital cities and most major provincial areas. There are few subjects more complicated and ever changing than Mortgage Loans. Today’s best deal can often turn out to be tomorrows worst. The market is full special offers, introductory discounts, professional packages and so much more, all aimed to attract the new borrower or to encourage borrowers to switch Lenders. Customers who deal directly with a Lender, are only ever exposed and sold the products of that Lender regardless of better options available with others. The research task of shopping around is extremely time consuming and usually focuses only on a few aspects of comparison like rates and fees. The best or right solution may never be found because only limited aspects are being considered. The value and benefits of dealing with Buyers Choice are evidenced in our approach to your needs. We take the time to know you, your needs and financial situation before researching the market. Service is provided at no cost to our clients (unless very complex advice or major loan restructuring is required) as we are paid by the lending institution for the work we do to prepare, submit and manage your loan through the approval process and settlement. Any loans we arrange are the same as those offered by the Lender, at the same Rates and Lender Fees (where applicable). Because of our experience and deep knowledge of Lenders, we are able to secure all available discounts and fee waivers that might not be offered to an individual customer. We use our own state of the art research software together with our experience to tailor our recommendations so they best meet your needs for today and the future. We compare your eligibility and needs with hundreds of loans available from our extensive panel of Bank and Non Bank Lenders. We present our recommendations to you in writing including suitable alternatives so you can make an informed decision. Buying a loan or mortgage is like buying a car. Everybody likes the advertised special, but on closer examination they discover that the features and options they really need are often not included. The Buyers Choice Home Loan Advisory Service homepage can be accessed here. 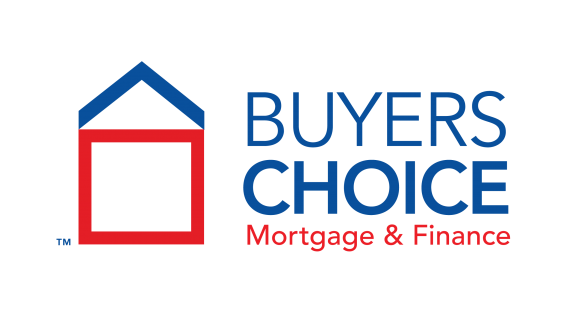 Buyers Choice Home Loan Advisory Service P/L is a Full Member of the Mortgage and Finance Association of Australia (MFAA) and Professional Lenders Association Network Australia (PLAN). We protect members through our membership of the Credit Ombudsman Service Limited (COSL), our industry external dispute resolution service. Buyers Choice Home Loan Advisory Service Pty Ltd is a Corporate Credit Representative (CCR No. 396766) of BLSSA Pty Ltd, which holds a Credit Licence for Australia’s largest Mortgage Broking group (Australian Credit Licence No. 391237). Australian Credit Licence Holder Details: BLSSA Pty Ltd ACN 117 651 760, Level 10, 101 Collins Street, Melbourne Victoria, 3000.